Today, more and more numbers of people are becoming aware of healthy eating habits. Everyone wants to eat food which is rich in nutrients and less in harmful fats. Oats have become very popular in India because of the great nutritional advantages they provide and their role in controlling the high cholesterol levels. India has slowly become the world capital of people suffering from heart problems and diabetes. The one of the main reasons of increase of health problems in Indians is bad eating habits. We consume food which lack essential nutrients, but it is high in harmful trans fats and cholesterol. So we need a food which can provide us with essential energy for the body; however, it needs to be free from the bad fat. Here comes the role of Oats, which are made of 100% whole grains. They provide our body natural source of carbohydrates and dietary fibres. The main point which I will like to highlight is that Oats contain Beta Glucan Soluble Fibre that helps reduce cholesterol. This is a good news for all people suffering from heart problems. In India, the one of main main reasons of heart problems is High Cholesterol levels in the blood. Now by just adding the Oats to our diet, we can easily reduce the levels of cholesterol from our body. The other point of Oat meal is that it provides you energy slowly-2 and for a long time so that you can keep going. Oats are also very rich source of protein. Due to all these advantages, Oats become an ideal meal for Indians. Already, Oats have become very popular and we are using them for last three years. Today in the market, we can see many food items with Oats like biscuits and breads. We can cook the oats in the different ways and it takes hardly few minutes to cook the oats. Oats can easily provide a great alternative to all the fans of noodles. 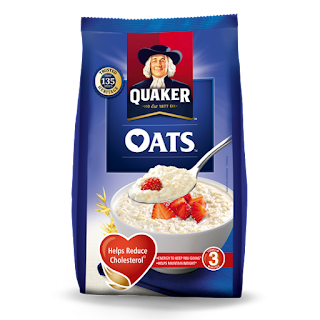 Earlier, Quaker was the only Oats brand available in India; however, now we can find oats from other other companies too. 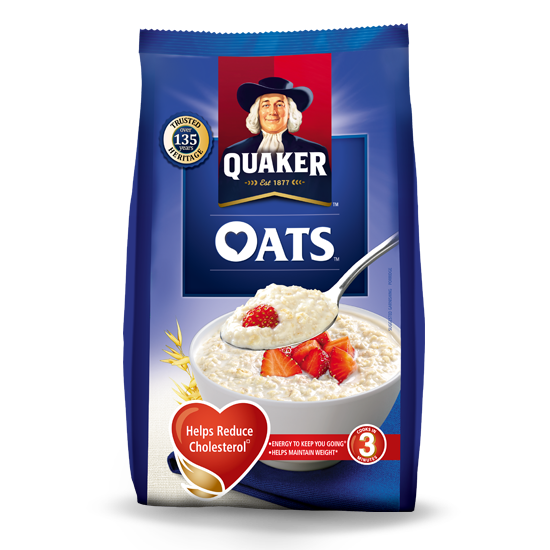 I have tried oats of the few other brands; however, I will say that the Quaker Oats are the best when I compare them for the taste, time to prepare oats and health benefits. In the today's hectic lifestyle, we must add good and healthy food items like Quaker Oats to our meal. My Rating for Quaker Oats is 9 out 10.